Pollenca is without any doubt, one of the most beautiful parts of Mallorca. It is believed that this is where tourism on the island first began. This was the preferred destination for painters and artists at the beginning of the century. The landscape here is so diverse; steep mountains meet lonely shores with deep, blue waters. The green of the pine trees contrasts with the grey of the limestone rocks. 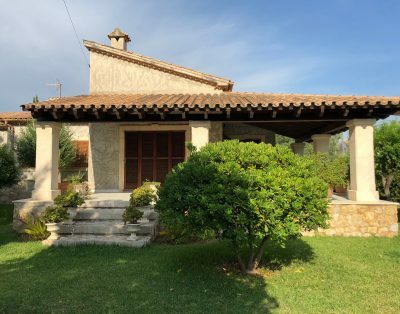 Pollenca sits in the north eastern corner of the island, close to Formentor and Alcudia. 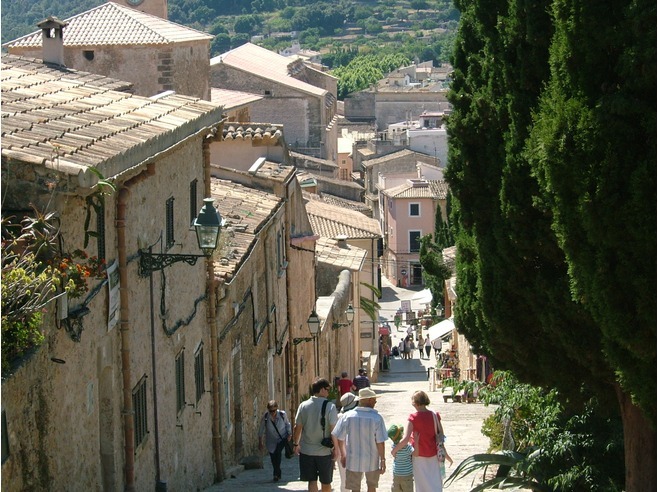 Pollenca is a typical Mallorcan town and is a maze of narrow, winding streets. Each has a character of its own and all are worthy of exploration. In the heart of the old town you will find quiet spots, untouched by tourism. In the centre you will find a flight of 365 steps that lead to the Calvario at the top. Most visitors attempt the climb. At the base of the steps is a delightful square with cafes and restaurants. It is the proud owner of a Roman bridge, that spans a small stream. The nearby square features a fountain dated 1827 and adorned with the image of a cockerel, the symbol of the town. If you enter Pollença from the main Lluc to Pollença road you will see the bridge on your left as you head for the town centre. East of the town lies its port ‘Port de Pollença’. The port owes its fame due to the fact that it is one of the most beautiful on the island and also one of the deepest and most closed. The bay has sandy beaches and shallow turquoise waters which makes it popular for family trips. There is a first class infrastructure and a lot of entertainment offered like all type of water sports, shopping and nightlife. The fisherman`s wharf has recently been pedestrianised with sweeping wooden walkways and is an attraction in itself. You will also find a wide array of restaurants to choose from, offering every manner of gourmet delights. Sunday is market day and all manner of local goods can be found. site for more information about this special place in northern Mallorca.